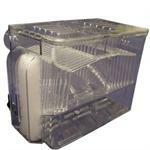 The Oscar Enterprises Baby Nursery Box for Live Bearing fish is an innovative in-tank breeder that can accommodates 2 pregnant mothers while protecting fry from hungry mouths. 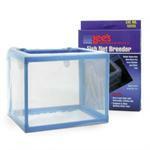 Lee’s Aquarium Net Breeder Box is ideal as a maturation tank for fry. 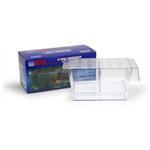 Lee’s Aquarium versatile Three-Way Breeder is ideal for egg-laying fish, yet is also suitable for live bearers.